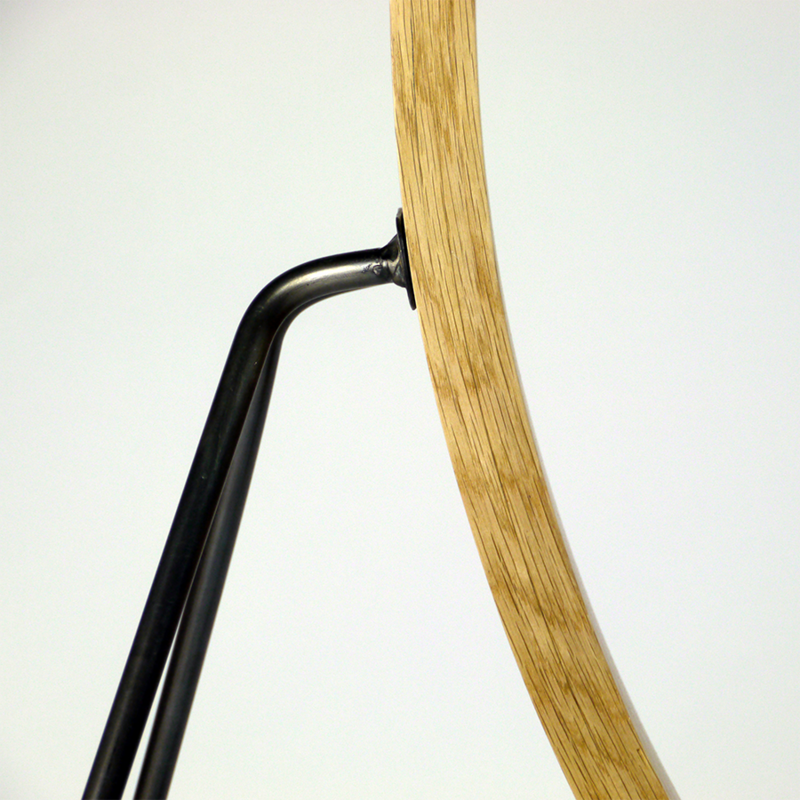 Propt invites the user into a conversation about the juxtaposition of graceful curves and straight lines. 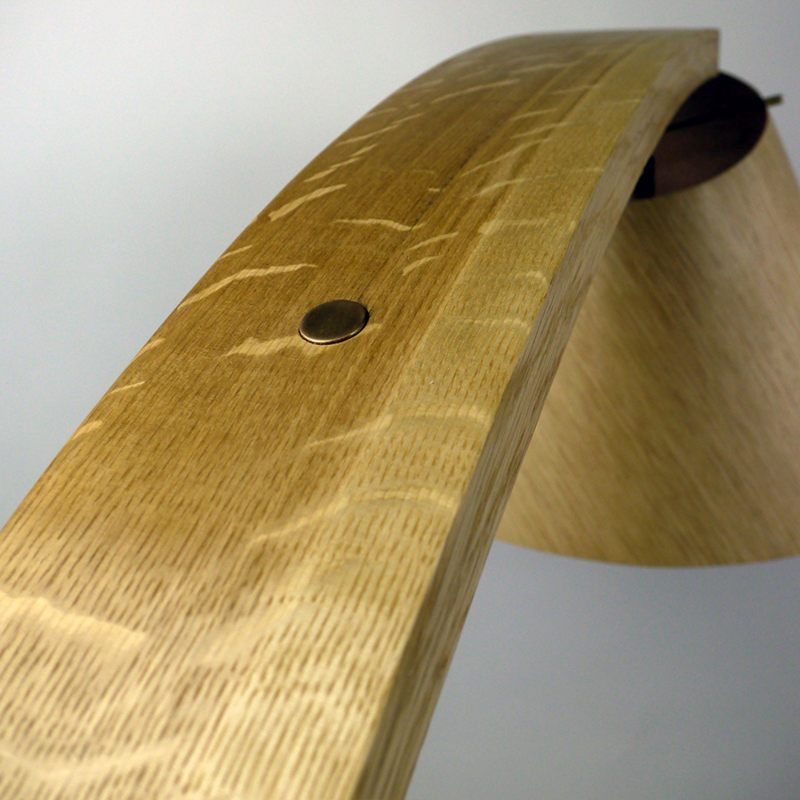 The white oak curve of Propt was designed around natural proportions in order to invoke a sense of ease. 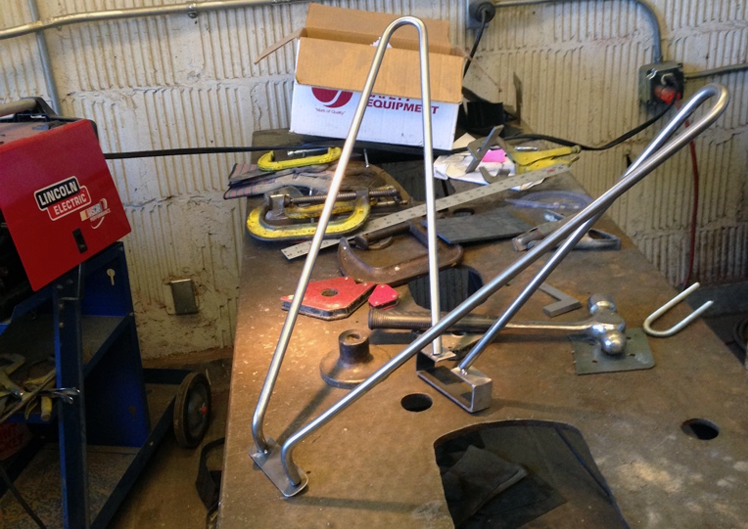 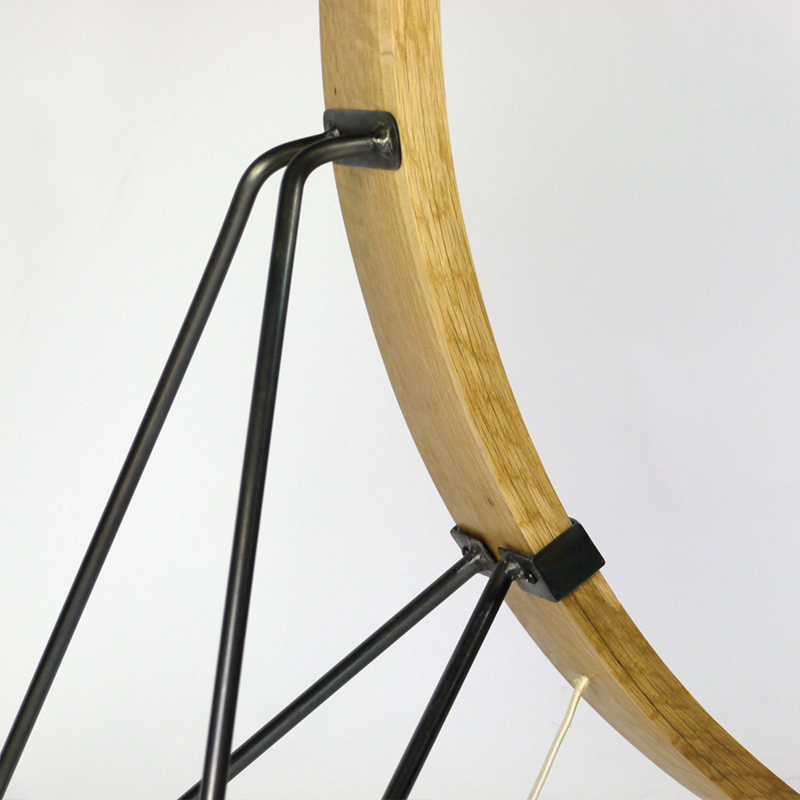 The steel legs were designed to give the impression that the curve was being “propped” up against straight lines — this is what creates the subtle juxtaposition of Propt. 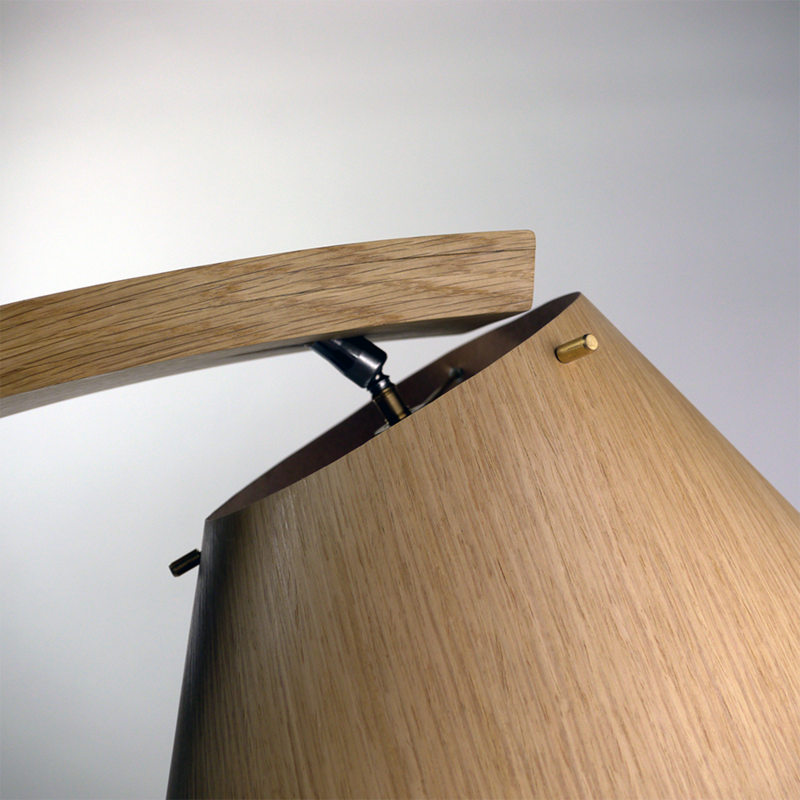 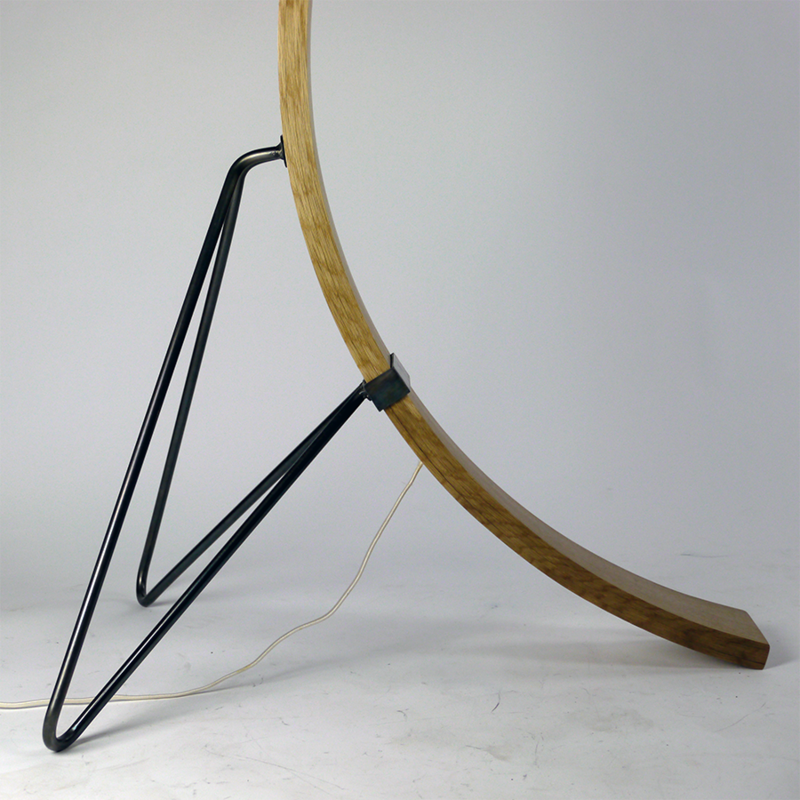 Propt is composed of a bent white oak body, blackened steel legs, white oak veneer lamp shade, and brass accents. 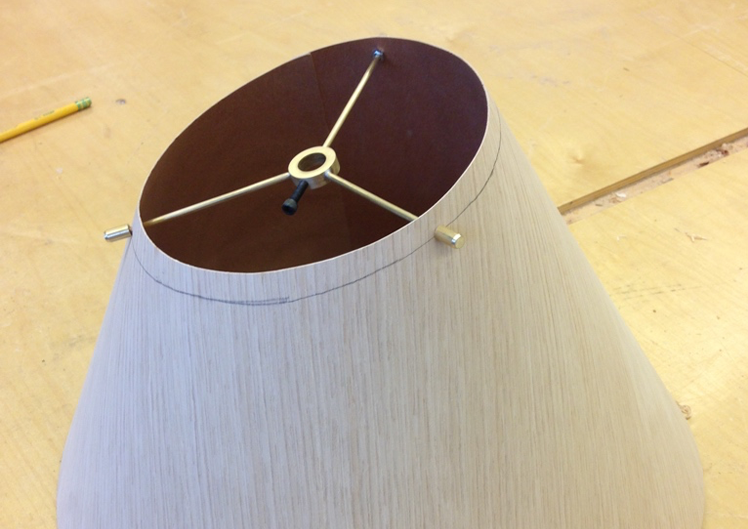 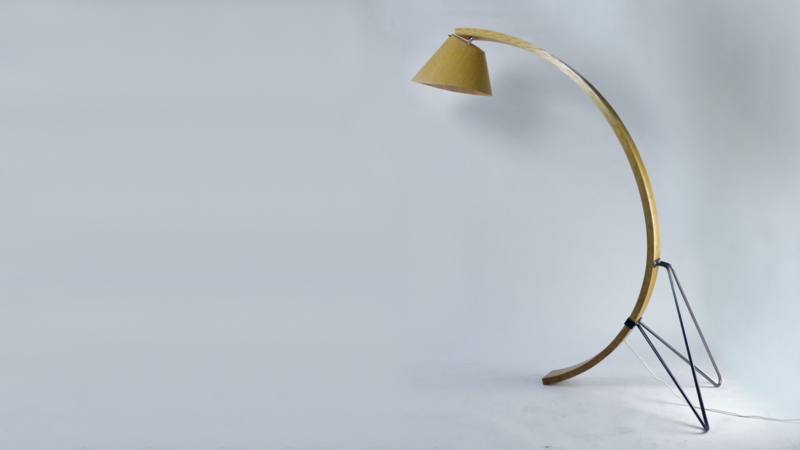 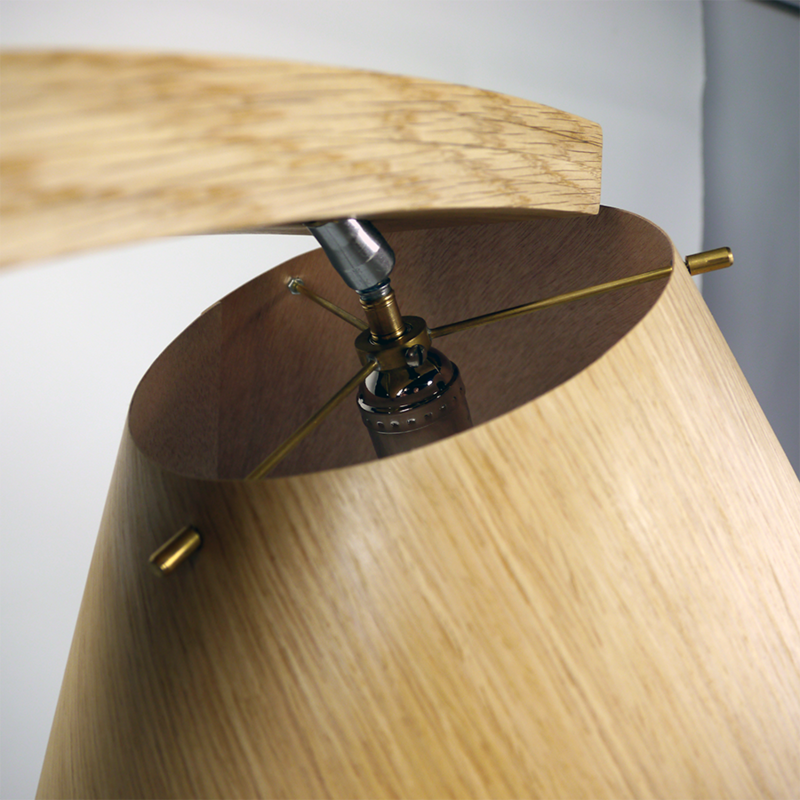 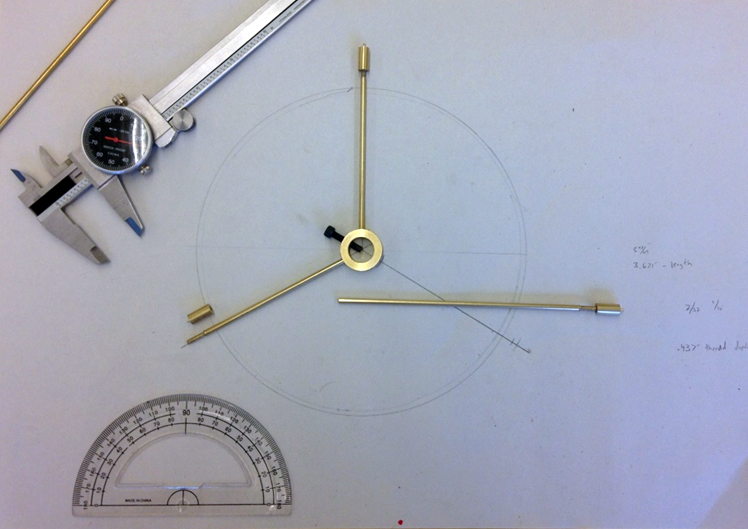 The lamp is powered on/off using the round brass touchswitch on the top of the curve. 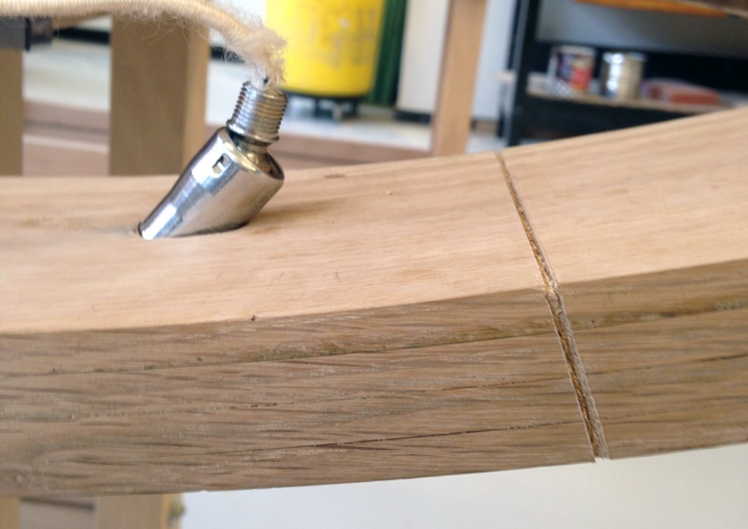 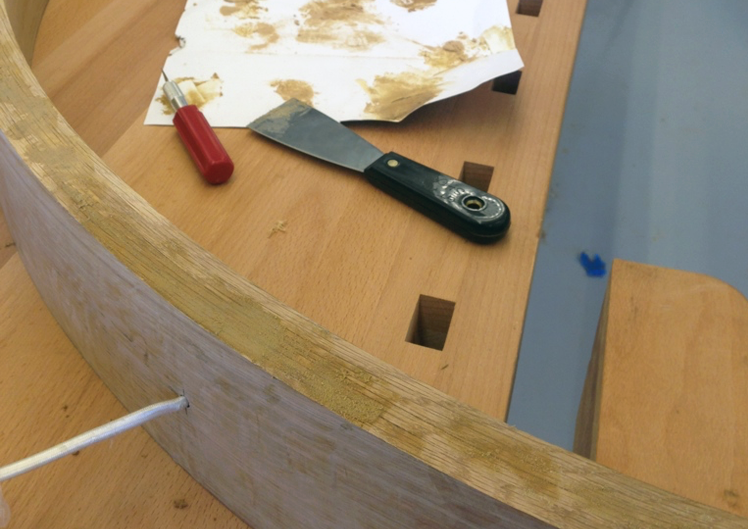 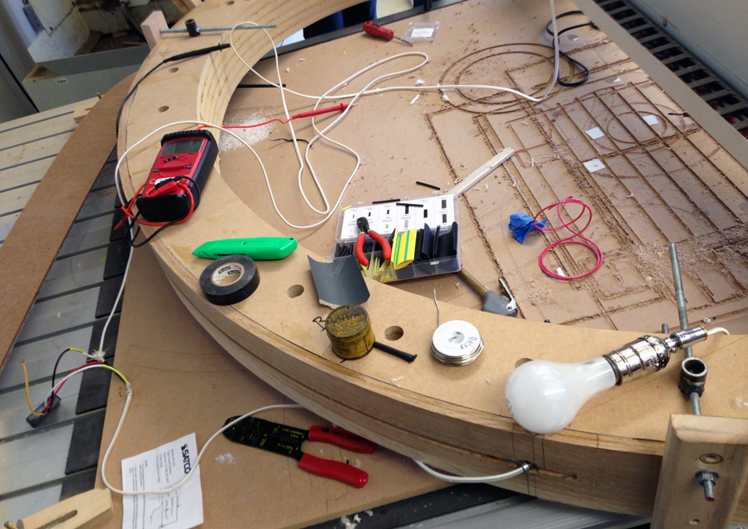 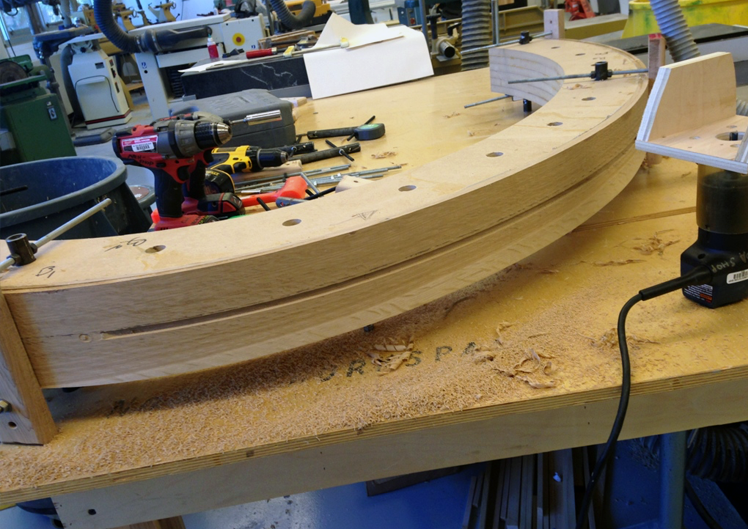 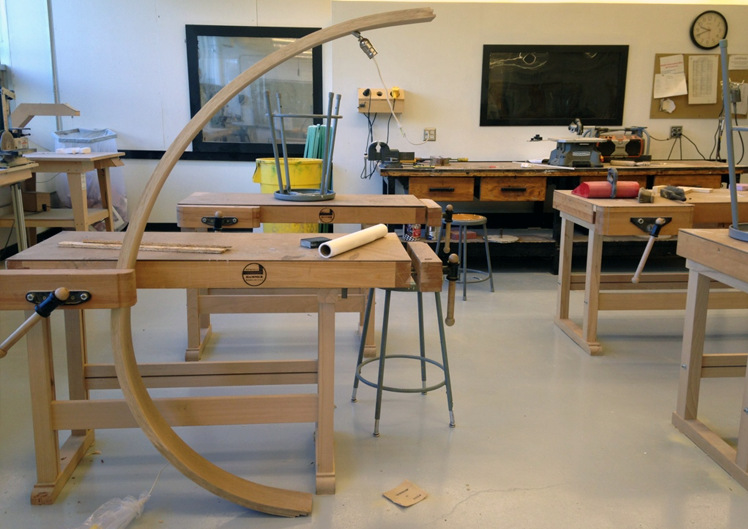 All of the wiring is hidden within the wooden curve in order to keep the design clean and simple. 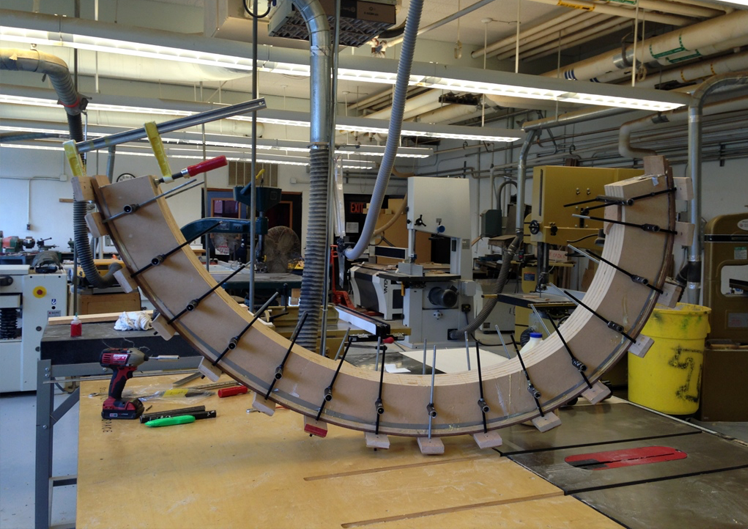 Propt was designed and manufactured by myself with direction from Tripp Edwards (Director of Ga Tech's College of Architecture design shop). 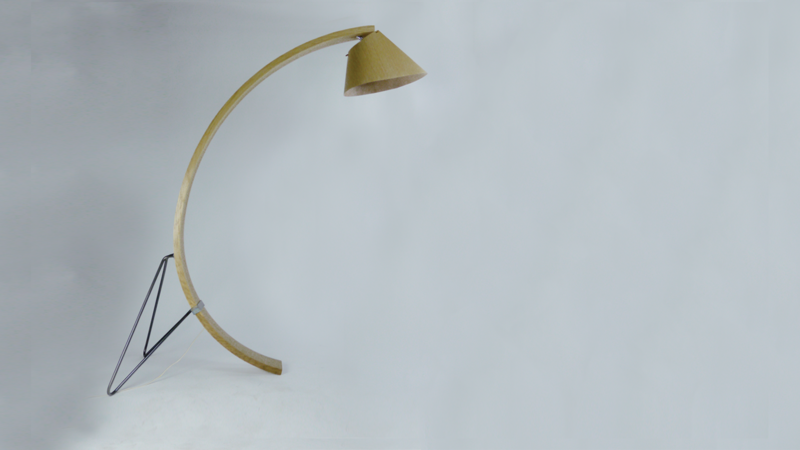 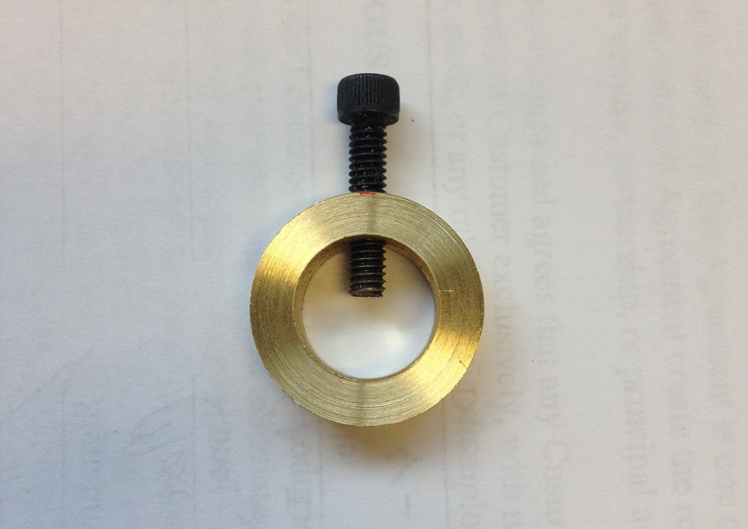 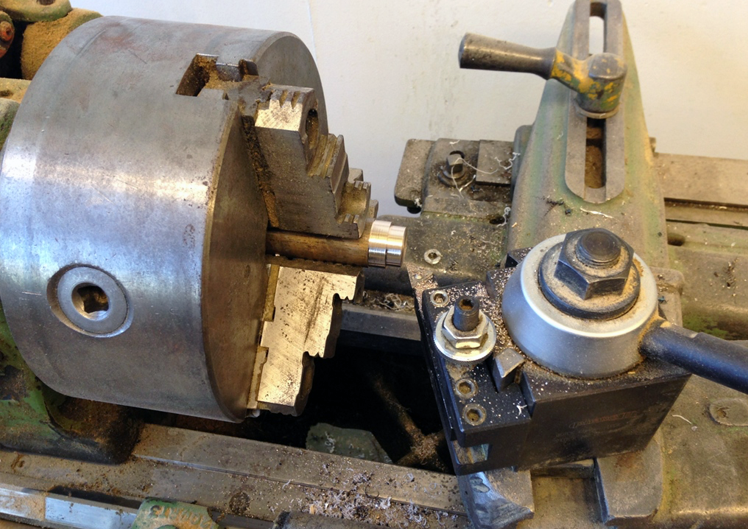 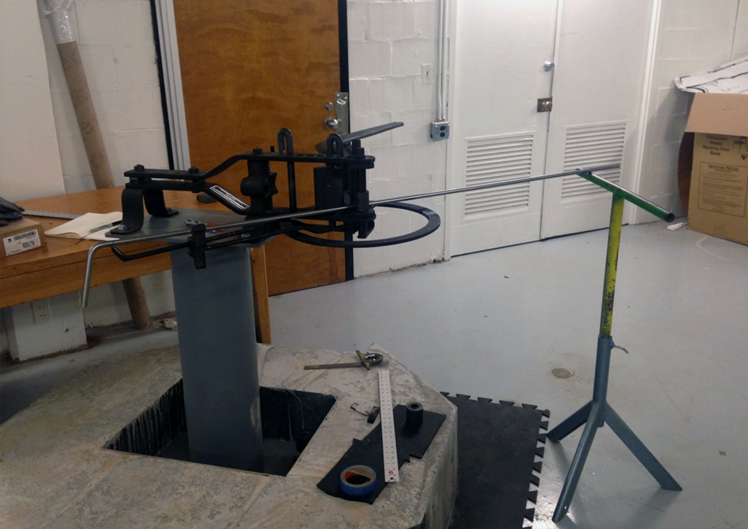 Processes included: Machining brass, turning brass, bending steel rod, plasma cutting sheet metal, welding steel, bentwood lamination, and CNC routing (for the mold).